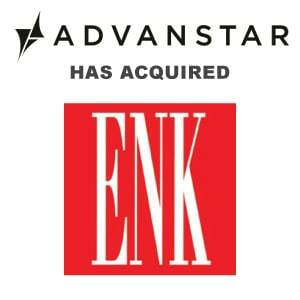 Advanstar Global LLC Announces Completion of ENK Fashion Tradeshows Acquisition - Berkery, Noyes & Co., LLC. NEW YORK, Dec. 21, 2012 /PRNewswire/ — Advanstar Global LLC (“Advanstar Global “), a multi-platform events and information services company and owner of Advanstar Communications, today announced that it has successfully completed the previously announced acquisition of ENK International LLC (“ENK”) for a purchase price of $155 million. With this acquisition, Advanstar Global significantly expands its international fashion event portfolio across multiple segments and markets. The acquisition combines current Advanstar Global properties – MAGIC, FN Platform and PROJECT – with ENK’s shows, including Fashion Coterie, Intermezzo and Accessorie Circuit. ENK and Advanstar Communications will continue to operate separately to offer tailored and customized environments for customers. Each brand will focus on its market expertise bringing the best of both companies together for one tradeshow experience. Beginning in 2013, all customers will have access to Advanstar Global’s new “Shop the Floor” digital solution, extending the tradeshow from three days to 60 days. Shop the Floor will become a brand’s online showroom to be accessed by credentialed retailers. Retailers can review products in advance of the show to maximize their time on the show floor. The new digital platform offers another tool for planning and connecting and improving the experience for brands and buyers. Advanstar Global’s financial sponsors for the acquisition include Anchorage Capital Group LLC, Ares Management LLC, and Veronis Suhler Stevenson. Debt capital funding was provided by GE Capital, RBS Citizens, N.A. and U.S. Bank. 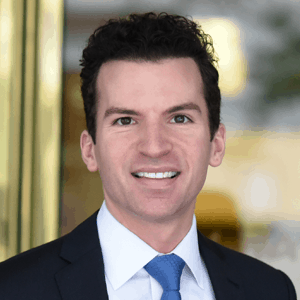 Advisors to Advanstar Global and its investors included Paul, Weiss, Rifkind, Wharton & Garrison LLP; PwC; AMR International and FTI Consulting. Advanstar Global LLC is the parent company of Advanstar Communications Inc. (www.advanstar.com), a leading marketing, media and events company providing integrated solutions for the Fashion, Licensing, Life Sciences and Powersports industries. The company leverages its portfolio of 141 events, 60 publications, 233 electronic products, as well as educational and direct marketing products to facilitate commerce by connecting buyers and sellers across its vertical markets. Seller Parent:Forstmann Little & Co.